"Susan Vecsey" by Maria-Lisa Farmakidis. Delicious Line. November 10, 2018. "Susan Vecsey" catalog essay by Phyllis . Greenville County Museum of Art. March 15, 2017. "The View from Bonac" by Kelly Ann Smith. The East Hampton Press. August 27, 2014. "Under Blue Skies", Hamptons Magazine, Volume 36, Issue 8. August 1-7, 2014. "Serenity...." by Piri Halasz. June 22, 2014. Exhibition of Paintings by Susan Vecsey. June 2014. 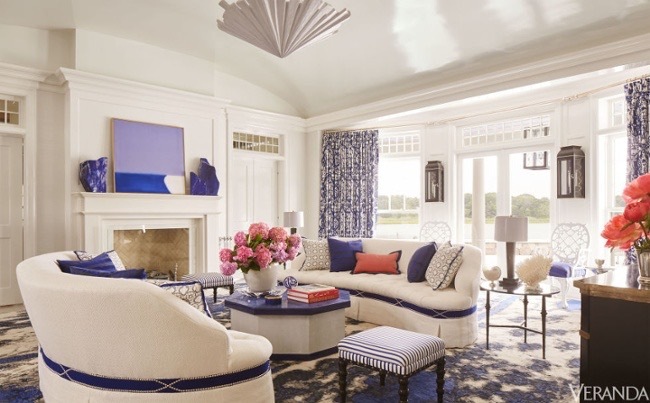 Susan Vecsey in Architectural Digest. June 2014. Berry Campbell Gallery to Represent Susan Vecsey. March 26, 2014. "Susan Vecsey Painting Acquired by LI's Guild Hall". Arts and Antiques. May 31, 2013. Cultural Heritage and Arts Review. Fall/Winter 2010. "Art and Antiques, Susan Vecsey”. September 2010. "Sun-Kissed Landscapes" by Benjamin Genocchio. New York Times. April 19, 2009. "Emerging from Winter" by Jennifer Landes. The East Hampton Star. April 23, 2009. "Perspectives" by Eric Ernst. Southampton Press. April 7, 2009. "Light of Spring at Spanierman" by Marion Wolberg Weiss. Dan's Papers. Issue 3. April 10, 2009. "Designing Duo". Hamptons Magazine, Volume 30, Issue 3. June 6-12, 2008. "Singular Vision" by Elizabeth Fasolino. The Art Scene. East Hampton Star. May 1, 2008. "Artist Reflections". In the Morning with Bonnie Grice, 88.3 FM, WLIU, affiliate of NPR. April 30, 2008.